Fernández | Acquisition of Sociedad SEVIMPOR and the start of construction works in the new Dos Hermanas warehouse in Seville. 16 Jan Acquisition of Sociedad SEVIMPOR and the start of construction works in the new Dos Hermanas warehouse in Seville. On January 2, we have completed the acquisition of 100% of Sociedad Sevimpor Distribuidora de Frutas de importación S.L. 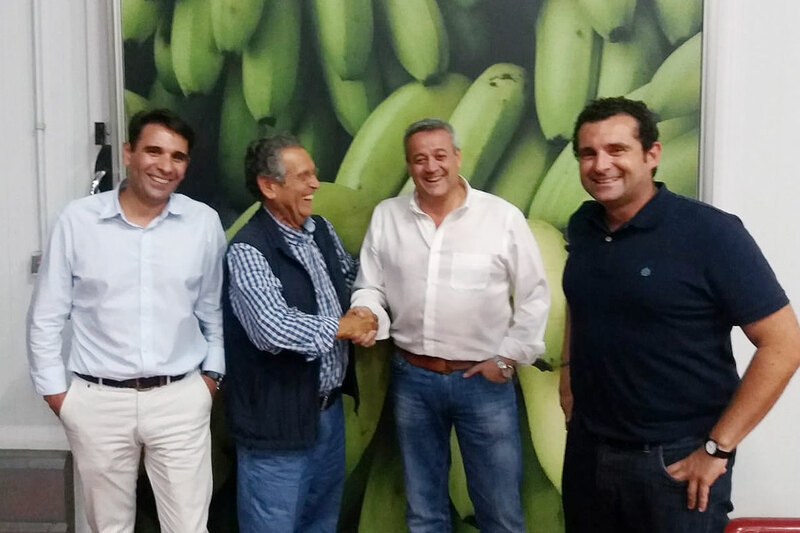 This agreement will allow us to grow and expand with one of our main products such as the canarian banana and in which Sevimpor has always been a benchmark in Andalusia as a company specialized in the ripening and commercialization of this product. It also has facilities of 2,000 m2 perfectly conditioned for the ripening, conservation and confection of bananas. The management team of Sevimpor will continue at the head of the delegation where all the redirection activity will be coordinated to the rest of the company delegations of all the fruit that arrives through the ports of Algeciras and Seville. In this sense, we started the air-conditioning construction works in the new Dos Hermanas warehouse in Seville. This new warehouse has an area of ​​6,270 m2 and we expect it to start operating for the second half of this year.